Most of the world's grand challenges require a non-traditional approach to solving them, they require platform thinking as a common good.  How do we go beyond incremental improvements and completely transform how our Global Grand Challenges are overcome and solutions are implemented? First, there is a critical flaw in traditionally siloed innovation: radical innovation generally happens only once within closed systems. After that initial radical innovation is implemented, the natural state of the system is to protect that innovation and focus on optimization instead. Secondly, 80% of challenges require a different approach to solving them. They require platform thinking as a public good. With Open Social Innovation we can tackle 100% of global challenges. We can rapidly increase innovation within the top 20% where viable business models can be created, while at the same time address the bottom 80% with innovation shared as a common good.  Open Social Innovation generates solutions at an exponential pace by enabling them to be amended, localized, and recombined. It empowers innovators to leverage collective intelligence, mutualization and networked innovation. Many attempts at open innovation have stumbled. We have worked with some of them, researched successful models and prototyped our own platform within open science and cancer research. We think of projects as a collection of bricks, bricks that are small components of the greater project, like, a business model, a piece of technology that purifies water, a marketing strategy that cultivates grassroots activation. Consider the potential when each innovative project is able to share their ‘bricks’ within an interoperable framework, allowing the bricks to easily be, modified, improved and recombined with others. With a library of these open bricks, innovation can rapidly accelerate, collective intelligence can be mutualized and innovation can grow exponentially. We recognize that we need a new economic framework, a positive sum incentive mechanisms for an Open Innovation commons. To accomplish this we are experimenting with building an innovation market model that would work for various venture types: Be they volunteer, non-profit ventures or those that generate revenue.  This would allow projects to share their innovations openly, while maximizing their opportunity to get a return on that investment into the open commons. In an innovation market, tokens are earned within bricks by contributing to them. In addition, when bricks are copied, the contributors to that brick are rewarded with tokens in the project that uses it. Both Projects and individual innovators can build sustainable businesses. Instead of a brick only being used by one entity, in the innovation market It’s impact can be multiplied many fold! It can be used by thousands, each providing the contributors to that brick with value. When Projects are invested in, they improve their bricks that make their company work.  This investment is multiplied manyfold throughout the network, which feeds back again to the project. It is a positive sum economy - An investment in one is an investment in many. We have successfully ran an open cancer research pilot, and now we are building a full ecosystem where the entire development cycle of innovation fully leverages openness. Our AI will generate powerful recommendations to projects, thanks to our interoperability framework. We may find a hydrogen fuel cell filter may work for a water purification project, or a textbook distribution model may be appropriate for a project selling mosquito nets. People recommendation works similarly. When we understand the details of bricks and we have people earning tokens within bricks we can match appropriately credited people to solve specific challenges. (JOGL) is the technology stack we are leveraging for this audatious project. Together, JOGL and Dev4X share an audatious vision. These are mockups of the UI updates currently underway on our existing platform. learn from millions of ideas, experiments, approaches, failures and successes. Tap into the cognitive surplus of innovators you could never hope to employ yourself.  Open systems and the 4th industrial revolution decentralizes and distributes power and value according to new rules.  This generates exciting opportunities for youth and those that want to change the way the world works. We could usher in a world where problem solving, can generate massive job opportunities, outpacing those lost due to automation. Where innovative organizations are massively distributed, and value output is shared according to value input. We have geared our platform towards Youth, those in pioneering challenge-based learning programs, research projects and maker labs. Here through grit, experimentation, collaboration and continual learning, they gain the 21st century skills needed to adapt and thrive in our uncertain future. While at the same time developing real-world value, a portfolio of projects, verified skills and a trusted reputation. We are social entrepreneurs, scientists, educators and technology specialists working on audatious "Moonshot" projects that drive innovation. PhD, Founder of CRI, expert on the future of research and education. UNESCO Chair “Learning sciences”. 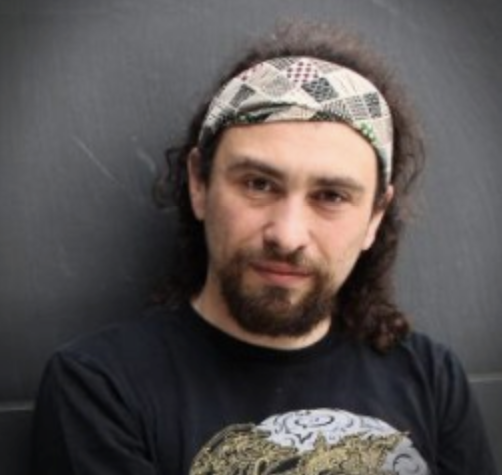 PhD, With a pronounced taste for breaking silos, Gaëll has developed projects successively in Neuroscience, Open science, Collective Intelligence, Urban studies, Energy and Sustainability. Senior Researcher at University of Geneva, collective intelligence, human dynamics, social wearables, cyber risks. Founder of Maker’s Asylum, STEAM school, running in collaboration with the French embassy in India. A global leader who developed innovative strategies and initiatives around the world. PhD, Child Mind Institute’s Director of Innovative Technologies, spearheaded several open science initiatives.